Many visitors remark on the unusual town names to be found on the Outer Banks, and one of the names that causes the most head-scratching is Kitty Hawk. A small but popular vacation town in the busy central Outer Banks, Kitty Hawk was originally deemed "Chickahawk" by its original Native American residents, meaning a "place to hunt geese." Over the generations, the name changed slightly, the area became more developed, and the town became the popular tourist destination it is today. Outer Banks vacationers find that Kitty Hawk has a little something for everyone, including fantastic beaches, plenty of shops and restaurants, and even a large section of maritime forest where visitors can enjoy quiet nature trails, and spot all those geese that the original Native Americans were referring to. 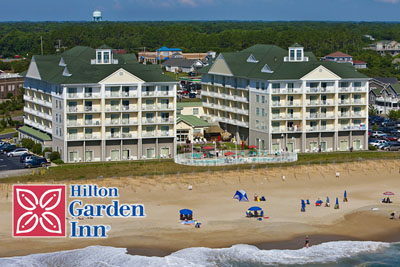 Hilton Garden Inn is located along the beach in Kitty Hawk. Every guestroom and suite enjoys its own unique view of the ocean and relaxed atmosphere with all of the comforts of home. Kitty Hawk offers a sample of everything that makes the Outer Banks a great vacation destination. Visitors will find nature preserves, great shopping and restaurants all located centrally. Kitty Hawk Woods Coastal Reserve - The Kitty Hawk Coastal Reserve - Offers visitors over 1800 acres of forests and marshes to explore. As a result, nature lovers can explore virtually desolate trails and enjoy an afternoon of bird watching, and critter watching. Kitty Hawk Woods is an ideal locale to spot dozens if not hundreds of native Outer Banks species, including white-tailed deer, gray foxes, and even occasional otters, thriving in their natural habitat. Dogs are allowed on the beach year-round. From the Friday before Memorial Day until the day after Labor Day, they must be on a (maximum) 6ft leash between 10am and 6pm. All other times of the year, dogs must be on a (maximum) 12ft leash. Dogs may be taken off the leash during the off-season only if they are controlled by their owners and do not disturb others. Owners must be within 30feet of an unleashed dog, and have a leash with them at all times. Fireworks and beach bonfires are not permitted in Kitty Hawk. Beer is allowed on the beach. Wine and liquor are not officially permitted. Please drink responsibly. Red flags = no swimming. When you see red flags flying, dangerous conditions are present and swimming is prohibited. It is illegal to walk on dunes, and it is also illegal to pick live sea oats growing on the beaches. Fill in any holes you dig. Holes in the sand can be a hazard. Be mindful of Noise. Most communities consider a violation of the noise ordinance to be any sound that can be heard from inside a nearby residence, and any load noise after approximately 11:00 p.m.
No glass on the beach. Be mindful of glass bottles. Stick to cans and plastic to save future beach-goers from any bare foot injuries. Surf fishing is allowed. A fishing license is required in North Carolina and can be obtained before your vacation via the NC Marine Fisheries and Wildlife website, or a fishing license can be purchased at most any tackle shop on the Outer Banks. Shopping - In addition to boutique shopping, Kitty Hawk boasts more big-box retail and grocery stores than any other town in the Outer Banks. Dining - Options include all-you-can-eat fresh, local seafood buffets, steaks, outstanding BBQ, local donuts and ice cream. And the atmospheres range from flip-flop casual to upscale relaxed. There truly is something for every appetite in Kitty Hawk. Duck's boutique shopping - Just a short drive North on NC 12, you'll find a cluster of cozy shopping centers in Duck. The Waterfront Shops, Scarborough Lane, Scarborough Faire, Osprey Landing and the Flip Flop Shops offer hours of shopping for upscale, unique, locally-crafted items and beach favorites. All within walking distance of each other. Historic Corolla Park is a popular destination in Corolla. Visit the Whalehead in Historic Corolla, Outer Banks Center for Wildlife Education, or Currituck Beach Lighthouse. Tour 4x4 beaches in Corolla - See the famous herd of Wild Mustangs or just park and enjoy a day at the beach. Wright Brothers National Memorial - Learn about the Wright Brothers. See a replica of the Wright flyer. Visit the site of the first flight. Jockey's Ridge State Park - Climb 90 feet to the top of the park's giant sand dune. Take a hang gliding lesson. Hike through the adjoining Nags Head Woods. Bodie Island Lighthouse - Climb to the top of the 170 feet tall tower and view the Outer Banks from above. Open during the Summer months. Jenette's Pier - Bring (or rent) a fishing rod and catch your dinner on this extra-sturdy 750 foot deck. Downtown Manteo - Shop, eat and see some history. Don't miss the Roanoke Marshes Lighthouse and small Roanoke Island Maritime Museum. Elizabethan Gardens - Tour the beautiful, meticulously-maintained grounds and formal garden with labeled plant species. The Lost Colony Outdoor Drama - See the longest-running outdoor production about the first English settlement in the New World, on Roanoke Island. N.C. Aquarium on Roanoke Island - Learn about local wildlife, fish, and see sharks swimming in a 285,000 gallon tank. 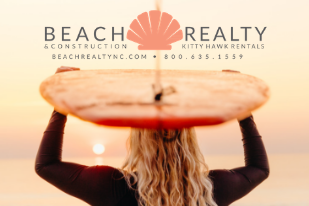 Today, Kitty Hawk is a mixture of accommodations including a luxury resort and hotel, a collection of small motels, and a number of both oceanside and soundside vacation rental homes and unimposing condos. Vacationers can opt to stay near the action on the beach, where the beach road features a small number of shops, restaurants and night spots, or closer to the Currituck Sound, bordering the Kitty Hawk Woods and miles of open sound waters. On the oceanside, vacationers will find 7 public beach accesses, including three that are lifeguarded from Memorial Day to Labor Day, along with a roving lifeguard ATV patrol that covers the town in the busy summer season. Visitors are free to explore the miles of open beaches, but are advised to follow the local town beach ordinances, including no glass on the beach, no beach bonfires, and no swimming when the red "Dangerous Conditions" flags are waving. All of these rules are in place for visitors' safety, and to ensure everyone on the shore enjoys a great time. 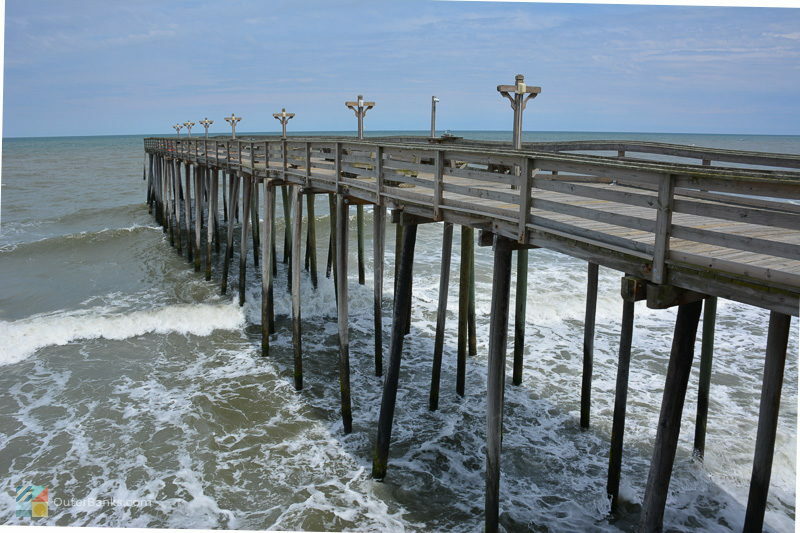 Take a stroll up the beach to check out the Kitty Hawk Pier. Damaged by Hurricane Isabel in 2003, the pier has since been remodeled and revitalized and serves as a venue for special events and lunching guests of the nearby resort. 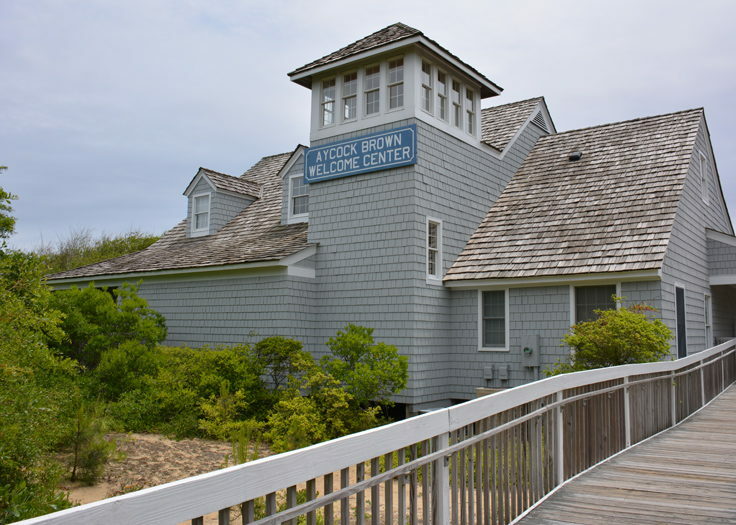 Kitty Hawk is also home to the Aycock Brown Visitors' Center, the main visitors' center for vacationers entering the Outer Banks from the north, and a fantastic resource for newcomers to the OBX with plenty of publications, pamphlets, and local experts on hand to answer questions. 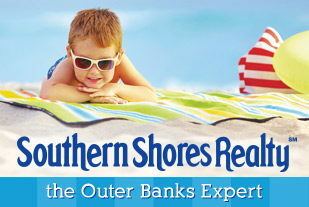 On the outskirts of town, a couple miles from the beach, visitors will even find several large chain stores, including grocery stores, shopping centers, and a soundside watersports center for waterfront adventures of all mediums, such as kayaking, parasailing, sailing, and even kiteboarding. Mariners will also find a handful of public boat ramps on the soundside of town, as well as a collection of every-day services, including banks, a post office, and even an Urgent Care medical center. In short, for vacationers and residents alike, Kitty Hawk has a sample of everything Outer Banks. From charming shops to large shopping plazas, beach-side dives to more formal restaurants, and water in all directions, Kitty Hawk can easily accommodate all tastes. The first beach town that northern vacationers encounter after the Wright Memorial Bridge is also, clearly, a perfect sample of what the Outer Banks is all about: Fun, sun, and plenty of nature and history. Where is Kitty Hawk, NC? 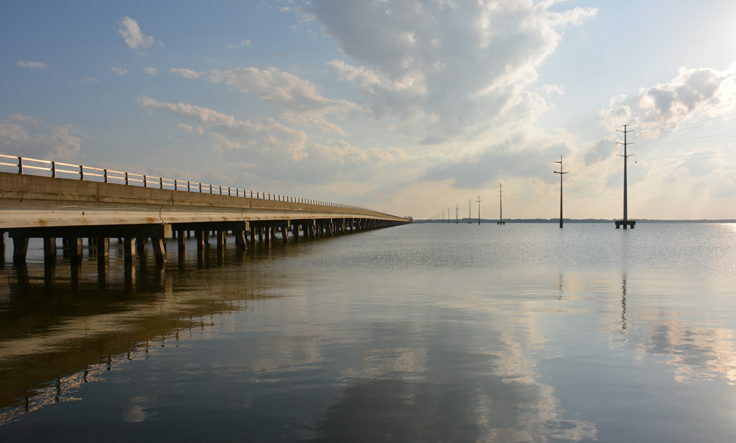 Kitty Hawk is located in the heart of the Outer Banks, and is the closest community to the Wright Memorial Bridge. It’s bordered by Southern Shores and Duck to the north, and Kill Devil Hills and Nags Head to the south. How do you get to Kitty Hawk, NC? The easiest way to get to Kitty Hawk it to take US 158 and cross the Wright Memorial Bridge, which directly connects with the town. Visitors staying in the southern and northern Outer Banks can also reach Kitty Hawk via NC Highway 12. What is there to do in Kitty Hawk, NC? Kitty Hawk is most popular for its beaches, however the town also has a collection of shopping plazas, stores and restaurants. In addition, Kitty Hawk is home to the 1,822 acre Kitty Hawk Woods Coastal Reserve, which is a popular destination for kayaking, hiking, birding, and other outdoor activities off the oceanfront. Other attractions include the Outer Banks Children @ Play Museum, and the town is close to the Wright Brothers Memorial and Avalon Fishing Pier. Kitty Hawk also features two golf courses – Sea Scape Golf Links, and Duck Woods Country Club in adjacent Southern Shores. Where did the name Kitty Hawk come from? The town was originally known as "Chickehauk" or "Chickahawk” in the 1700s. Though it’s not certain how this name morphed into the current “Kitty Hawk,” many local historians believe that it ties into a Native American name for the region that indicated exceptional geese hunting, such as "Killy honker" or "Killy honk." What are the special events in Kitty Hawk? Many restaurants and nightlife venues in Kitty Hawk offer live music and special events throughout the summer season. The area’s Kitty Hawk Woods is also the host of a suite of birdwatching and kayaking events that coincide with the annual Wings Over Water Festival, which is held in October and December. Where are the beach accesses in Kitty Hawk, NC? There is also a handicap accessible public sound access which is located at Windgrass Circle. Are there lifeguards in Kitty Hawk? There are three fixed lifeguard stands between Memorial Day and Labor Day in Kitty Hawk, which are located at the Byrd Street beach access, the Eckner Street beach access, and the Kitty Hawk Bath House. In addition, the town has seasonal ocean rescue patrols which monitor the beaches on ATVs. What are the attractions in Kitty Hawk, NC? Kitty Hawk’s biggest attraction – literally – is the Kitty Hawk Woods Coastal Reserve. Located along the soundside, this 1,822 acre site features maritime woods, soundfront beaches and access points for watersports, and a network of hiking and paddling trails. The town is also close to a number of central Outer Banks attractions including area fishing piers, the Wright Brothers Memorial, and Jockey’s Ridge State Park in Nags Head. 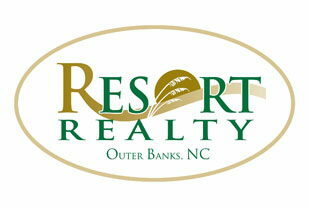 Are there shops and restaurants in Kitty Hawk, NC? Kitty Hawk is home to a number of shops and restaurants, which are found along the Beach Road or adjacent to the entrance to the Wright Memorial Bridge. The town is also home to several shopping plazas, as well as several large chain stores. 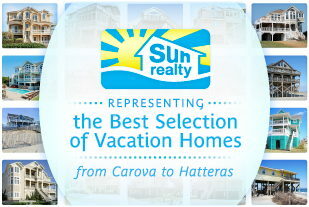 Where do you stay in Kitty Hawk, NC? 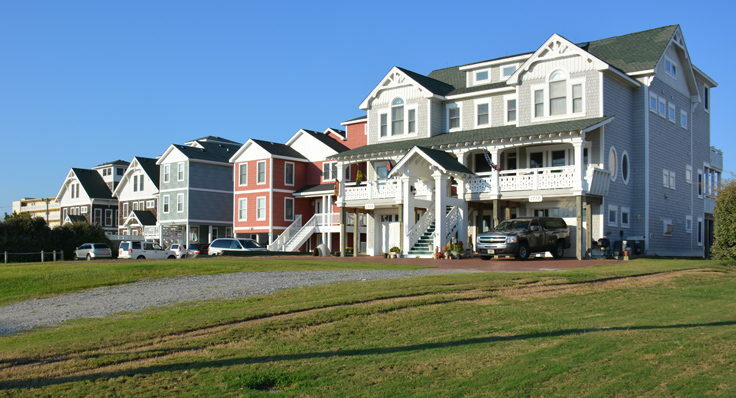 There are a lot of accommodation options in Kitty Hawk, NC which include vacation rental homes and condos, hotels and motels, and campgrounds that can accommodate tent campers and / or RVs. Kitty Hawk is also home to one of the Outer Banks’ largest hotels, the Hilton Garden Inn. What can you do on a rainy day in Kitty Hawk, NC? The area has a variety of shops and restaurants, which include art galleries, craft or beading stores, boutiques, and surf shops. Visitors can also easily reach the charming shops of Duck, visit the Children @ Play Museum, or head to other central Outer Banks attractions like the North Carolina Aquarium on Roanoke Island. There are also several amusement centers found nearby in the central OBX, such as a laser tag arena and a bowling alley. Are pets allowed on the beach in Kitty Hawk, NC? Dogs are permitted on Kitty Hawk’s public beaches, but must be on a leash at all times. Owners must also clean up after their pets. There is also a dog park located at 900 W. Kitty Hawk Road for residents and / or property owners and their guests. Can I drive on the beach in Kitty Hawk, NC? 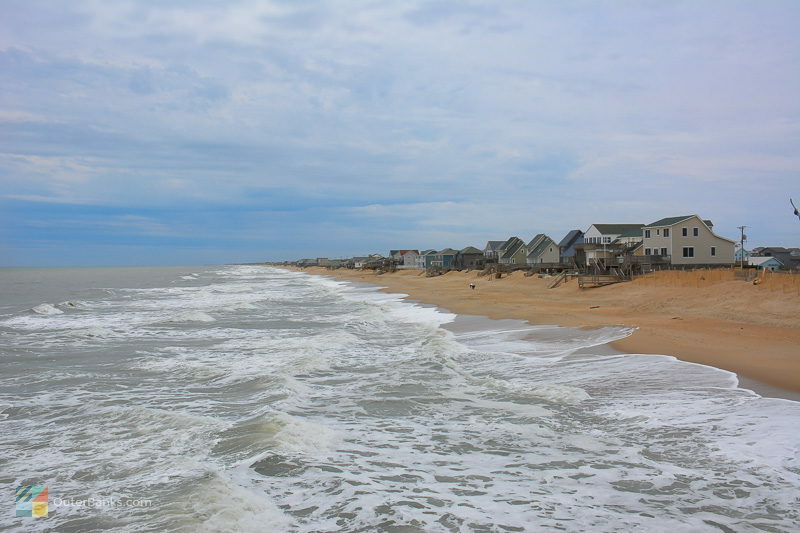 Driving on the beach is prohibited in the town of Kitty Hawk. Are there shells in Kitty Hawk, NC? Beachcombers may find a collection of shells in Kitty Hawk, especially after an offshore storm or hurricane. Popular shelling destinations include the area near the Kitty Hawk Pier and the Kitty Hawk Bath House. Are beach bonfires allowed in Kitty Hawk? Beach bonfires are not allowed in the town of Kitty Hawk. When is the best time to visit Kitty Hawk? 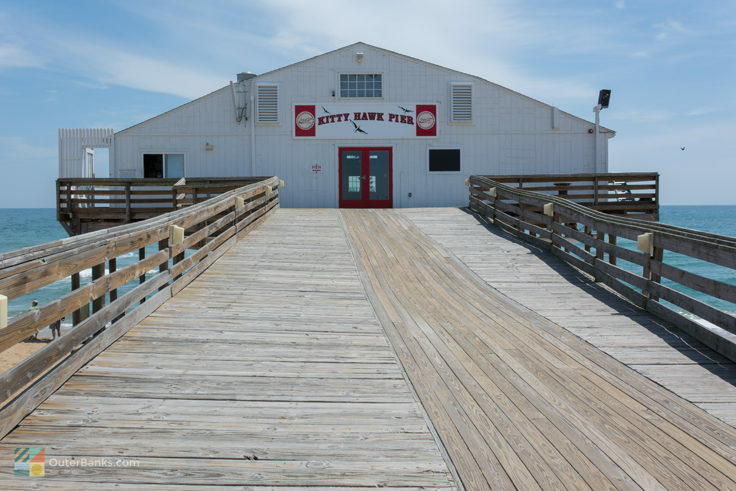 The most popular time to visit Kitty Hawk is in the summer months, when water temperatures are at their warmest, and all seasonal businesses are open for visitors. With that being said, many shops and restaurants – especially chain stores – remain open all year long. What are the air temperatures each month in Kitty Hawk? Seasoned visitors to Ocracoke Island love to soak in its rich heritage and culture which dates back to the 1500s, and features some legendary and longstanding residents. Some of the most popular Ocracoke locals are the Wild Ponies, which are protected in a secluded 180 acre area enclosure on the soundside of the Cape Hatteras National Seashore, but can still be enjoyed by anyone passing through the island on NC Highway 12. 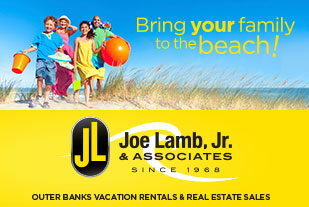 In the past few years, the Outer Banks has become a popular destination for large families and groups who are planning a beach wedding, a corporate retreat, or just a casual family reunion. This turn of recent events is due in no small part to the crop of sprawling vacation rental homes that have popped up throughout the coastline providing gorgeous accommodations, ample meeting or gathering spaces, and fantastic access to the nearby beaches and attractions.